Hi there readers of Gracepoint Worship! It’s definitely been a while since we’ve posted but it’s been busy as usual and things like this just get put aside or moreso forgotten. Anyways, as we gear up to send out our missionaries to San Diego, Riverside and Minnesota here are the songs that we sang at the commissioning service so you guys can read through the lyrics or go and buy them off of itunes, Amazon, or any music service you use. Here at Gracepoint Berkeley, we’ve been doing our devotion times in 2 Corinthians, reading about Apostle Paul’s hope in heaven, the source of his comfort and motivation in all of his troubles and persecutions. With these words of Apostle Paul on our hearts, we introduced this new song this Sunday at our service. RISE: Take a Stand for Jesus. One night of rocking praise, thought-provoking talk about truth and Christian worldview by Sean McDowell, hilarious skit, fun games, and an introduction to InterHigh Fellowship, with hundreds of youth and UC Berkeley college mentors from Koinonia, Kairos, and Acts2Fellowship. 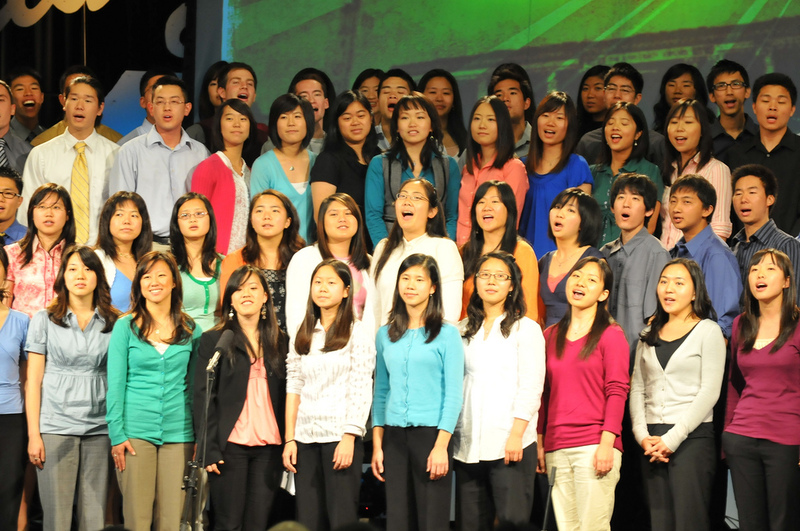 All to encourage and empower the youth of the San Francisco Bay Area, to get them excited about taking a stand for their Christian faith. We are all so excited and expectant of how God will use this ministry to equip and empower the youth of our region to defend the faith and witness friends in their high schools and junior high schools. If you were there at RISE, let us know how it was! Also, if you’re thinking… “What ever happened to that one song that we used to sing all the time?? I loved that song!” Let me know about it, and maybe we’ll bring it back at one of our Koinonia Bible studies this semester! 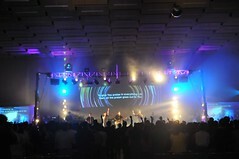 I just wanted to share with everyone an inspiring story about worship from Koinonia – Hsinchu. As we all know, praise is something that can really help us connect with God, and good praise can really enhance a Bible study or a worship service. But what do you do when there aren’t any musicians to lead the praise time? Well, then it’s time for people to step up! My peer, Chris G, following a storied tradition of Koinonia – Hsinchu staff members, has stepped up to the plate and is now playing drums out there in Hsinchu, Taiwan. Now, it isn’t like Chris is unmusical – he’s played clarinet for much of his life, but he’s never touched the drums before he decided to go to Taiwan. However, a couple weeks before he left, he was asked to learn drums, and after having a couple of lessons from some of our regular praise band drummers, he headed to Taiwan and started his new career as a drummer! Last I heard, he’s been able to keep a beat with few mistakes – and although he hasn’t learned how to do any fills yet – he’s really come a long way, and I’m sure he’ll improve a lot before this year is out. It just goes to show that oftentimes the most important thing is not talent or prior experience, but just a willing heart to do what needs to be done. And sometimes to be in a situation where you’re just thrown into the deep end doesn’t hurt! Good luck, Chris! We’ll keep on praying for you and the rest of the Hsinchu church. Looking forward to playing with you when you get back. Last Sunday, our graduating seniors sang “Available to You” as a song of commitment to live lives of availability to God and to others. Just wanted to post the lyrics to the song and a picture of the seniors. Now I’m free and I just want to be more available to You. Tim Fitz let me know about their website because they post their services in full on it, including the worship time. What I appreciate from watching these is that they present themselves conservatively, and yet they appear very comfortable doing what they do, which adds a lot to the experience (at least on the videocast). I get ideas and new songs from them when I get the chance. So if you’re looking for something like that as a resource, you can check out their website. As far as I can tell from their website, their doctrine is sound. One of my favorite Steven Curtis Chapman songs, “Show Yourselves To Be“, is based on this week’s devotion text, John 15. This time around, what caught my attention was where it says “This is to my Father’s glory, that you bear much fruit, showing yourselves to be my disciples” from which the song gets its title. The New English Translation says “My Father is honored by this…” This tells me that bearing fruit is what honors God. Bearing fruit is what demonstrates that I am a Christ follower. That means it’s about my character. When I overcome my sinful nature — pettiness, a short temper, being easily discouraged and being discouraging, being harsh and unreasonable, among many, many other things — with the fruit of the spirit by surrendering my life and its parts to the lordship of Christ, that’s bearing fruit. That honors God and shows that I follow Christ. Not singing the songs, not attending church events, not even evangelism and ministering to other people, leading people to Christ or teaching them the Bible. It’s being connected to the true vine and bearing fruit, changing my character and becoming like Christ. That’s harder, and I can’t just force my way to bear fruit like I can doing the things that I do. Instead it comes through being rooted in the word and prayer, and allowing my interaction with God to saturate the rest of my day in my decisions, actions and thought-life. 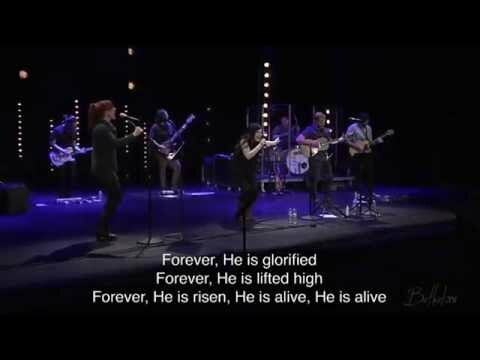 This is the song I chose for the Berkeley worship team to sing at the Gracepoint Fellowship Church – Austin farewell, a prayer for them, and a commitment for us who remain here to do the same. And we will be connected with them as long as we all remain connected to the true Vine, remaining in Him, obeying his commands, and loving one another, demonstrating to the onlooking world that we are His.